Airframe Album No 2- The Hawker Sea Fury-A Detailed Guide To The Fleet Air Arm’s Last Piston-engine Fighter by Richard A. Franks will retail at only £15.95 per copy + postage and packing, and will be available from all good hobby stores, specialist bookshops and ADH Books. Publication is scheduled for February 2013. 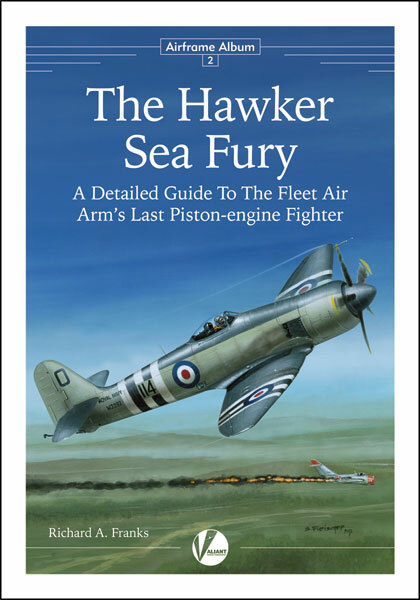 Airframe Album No 2- The Hawker Sea Fury – A Detailed Guide to The Fleet Air Arm’s Last Piston-Engine Fighter will also be available from all good specialist bookshops, retailers and ADH Books.